Home » feature » India » World View » On What Basis India Will Vote In Parliament Election? 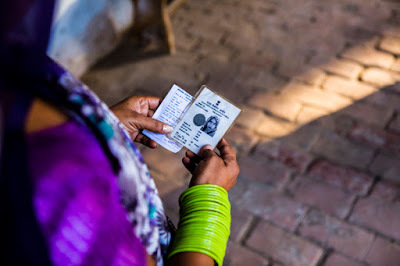 On What Basis India Will Vote In Parliament Election? The forthcoming parliament election is likely to take place in the pattern of Presidential poll in USA, where the focus would be exclusively on Presidential candidate. With the Election Commission of India announcing the dates for the forthcoming Indian parliament election , the election fever has set in. In the coming days, the country will see bitter and ugly political exchanges between the politicians, mutual accusations, politicians criss crossing from one party to the other and free play of money power. Media and the journalists will have field days and enjoy the freedom and liberty that they claim, to air their views in one way or the other, often taking sides directly or discreetly. While the candidates contesting in elections will all be thinking about their own fortunes and will be bent upon working out their strategies and action plans and not really thinking about the short term and long term national priorities, citizens of India have to be really concerned about the future prospects for the country and about which candidate could be the ideal choice and who may be most desirable. The forthcoming parliament election is likely to take place in the pattern of Presidential poll in USA , where the focus would be exclusively on Presidential candidate. In the last several decades of electoral democracy in India, the quality of governance of Government of India has been largely dependent upon the efficiency, commitment , caliber and capability of the Prime Minister , who is all powerful. Therefore, it is in the best interest of the country that the best of the available leader and the candidate belonging to his party should be voted to power, so that the best candidate would become the Prime Minister of India. Amongst the various individual candidates belonging to different political parties in the election fray , citizens will find it really difficult to identify any superiority in one candidate over the other in the present circumstances. Therefore, people would choose to vote for the political party on the basis of leadership rather than the credentials of the candidate. With several political parties forming alliance between themselves without any basis and only based on convenience and chance of winning and even caste factors, the citizen has a big problem in voting for the political party of their choice, since the particular political party may not be contesting in a particular constituency , leaving the seat to alliance partner. In such circumstances, what is the way out for the citizens in exercising their franchise ? The citizens are bound to introspect as to who should be the next Prime Minister of India who will guide the fate of the country and they would prefer to vote in favour of the party of the preferred Prime Minister candidate or it’s alliance partner. This is likely to be the trend of thinking of large section of people. In other words, the focus of attention is likely to be whether to vote for Mr. Modi or otherwise. People would like to compare Mr. Modi with other claimant for the Prime Minister’s post based on the personal character , efficiency and political philosophy. With several opposition parties forming or trying to form sort of understanding and alliance between themselves to defeat Mr. Modi at any cost and with no particular opposition leader emerging as the Prime Ministerial candidate to challenge Mr. Modi, people wonder as to who is the opponent for Mr. Modi for Prime Minister’s position. People are likely to feel in favour of Mr. Modi, as they do not know really as to who will be the alternate candidate for Prime Minister’s post , who will be better than Mr. Modi. The essential theme of the parliamentary poll is to accept or reject Mr. Modi as Prime Minister based on Mr. Modi’s five years governance ,viewed holistically, as no opposition leader is in the frame for Prime Minister’s post.